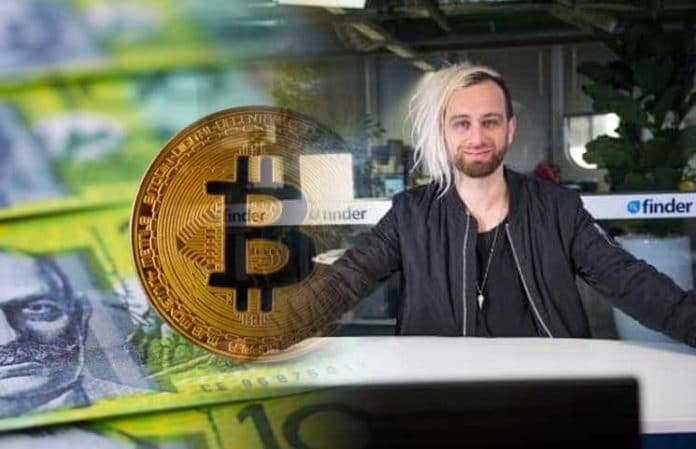 Finder co-founder Fred Schebesta has revealed that he is planning to create a crypto bank in Australia. Schebesta is a popular investor in the country and became especially popular after he was listed among the youngest self-made millionaires. He started Creditcardfinder.com.au, a credit card blog which is now known as Finder and worth around $1 billion and has branches in 10 countries. Schebesta is a Cryptocurrency and blockchain enthusiast and believes that creating a crypto bank is a wise idea. Fred Schebesta has made public his upcoming “multi-dollar” idea of starting the first Cryptocurrency bank of Australia. The 26-year old millionaire says that Finder will not seek to start its own bank but will partner with an existing bank. Confirmed reports say that he has already bought “significant” shares at Goldfields Money, a West Australia bank. Mr. Schebesta said that although the bank is small, is a licensed authorized deposit-taking institution (ADI). He added that the bank will take the advantage of the growing popularity of Cryptocurrencies in the country. The bank will be ready to provide spending, exchange, escrow, cold storage, and custodianship services to Crypto customers. Fred Schebesta knows that the nascent Crypto sector is one of the most misunderstood industry. He observes that when Bitcoin hit $10, people said it was a bubble. The same was said when the virtual currency hit $US 100 and even $1,000 and more. When the coin first hit $100, it then dropped to about $12 which is much lower than the recent drop from about $20,000 to $6,000. Moreover, the drop didn’t stop an interest in the Cryptocurrency. Mr. Schebesta has also said the interest in Cryptocurrencies is even “much higher” than what was observed in 2017. He added that last year, such an interest pushed the Bitcoin prices from less than $1,000 to about $20,000 while the Crypto market reached over $800,000. He has said that the recent reduction in the prices of most of the virtual currencies has led to frustration and not a reduction in interest. To support his claims, Mr. Schebesta observes that at a recent Crypto conference in New York, about 8,000 people attended. He also notes that new technologies are gaining popularity at a very high rate. He compares Bitcoin to gold and is optimistic that the giant coin is not going to die. Crypto traders have experienced a lot of hardship in the hands of the traditional financial institutions. Mr. Schebesta observes that most banks have closed the accounts of Crypto traders making it challenging for them to bank. He says this is not fair and that the new bank will introduce enormous opportunities to Crypto traders in the country. In September last year, Finder started providing Cryptocurrency comparing services. The company has attracted massive interest with the traffic growing at 10 times that of other areas like credit cards, telcos, and insurance. At the beginning of this year, he partnered with Fran Restuccia to introduce Hivex, an over-the-counter (OTC) exchange. The duo also introduced HiveSpend, a Crypto bill-paying service.